Misheard song lyrics (also called mondegreens) occur when people misunderstand the lyrics in a song. These are NOT intentional rephrasing of lyrics, which is called parody. 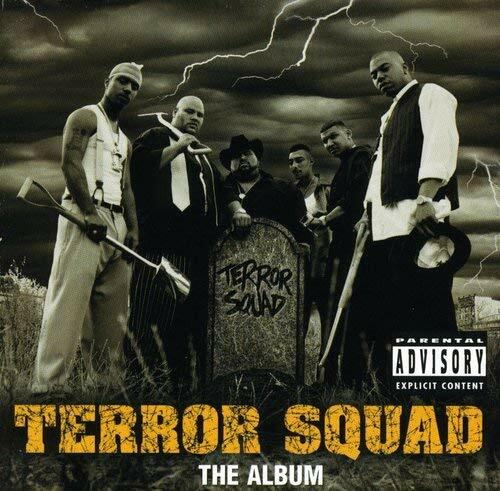 This page contains all the misheard lyrics for Terror Squad that have been submitted to this site and the old collection from inthe80s started in 1996. For more information about the misheard lyrics available on this site, please read our FAQ. There are 3 misheard song lyrics for Terror Squad on amIright currently. I said my n***er don't dance, we just feel up our pants and do the rock away. I said my n***er don't dance, we pull up the pants and do the rock away. Fat Joe and Remy Ma performed the vocals; they were members of this band at the time this song was recorded. And throw the rock away. Throw yo mama out the club 'cuzz she smugglin' cookies. So never mind how we got in here wit' burners and hoodies.